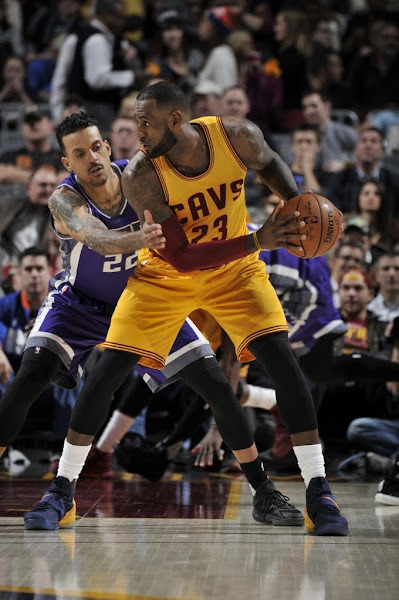 Last night, the Cleveland Cavaliers extended their loosing streak to 3 games in an overtime loss to the Kings. On the night, the Wine and Gold were just 17-of-34 from the stripe compared to the Kings’ 19-of-22. Every Cavalier who attempted a free throw on Wednesday missed at least one. 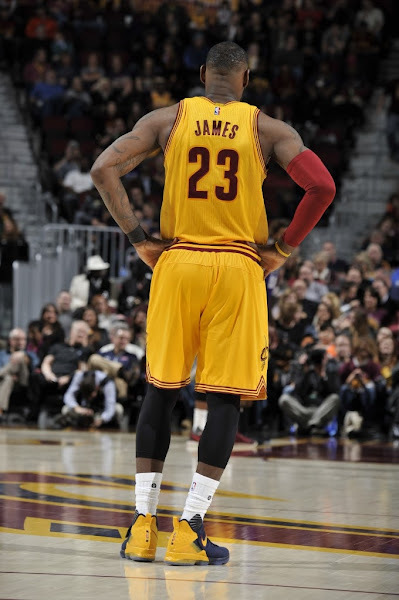 LeBron James recorded his second straight triple-double – his fifth this season and 47th of his career – finishing with a team-high 24 points to go with 13 boards and 11 assists. 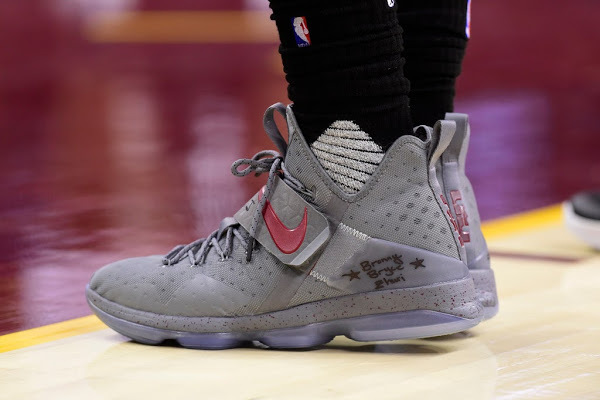 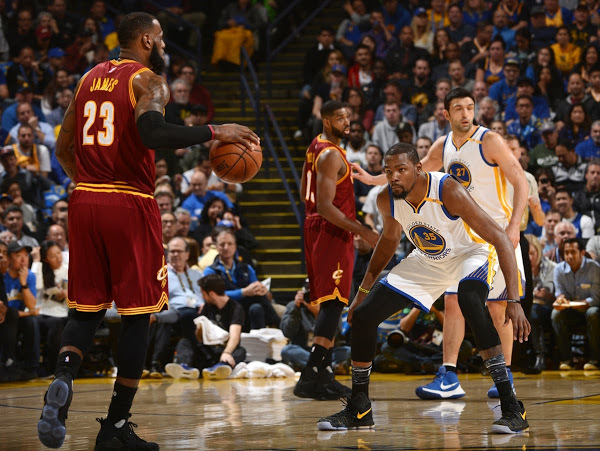 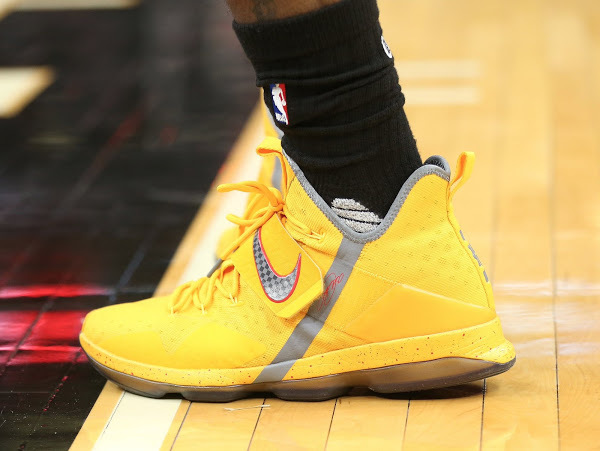 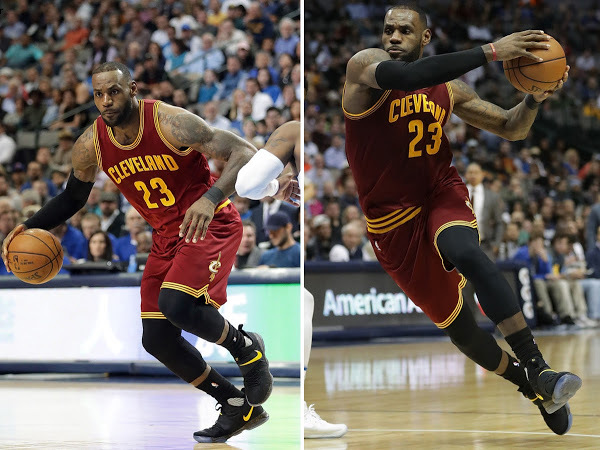 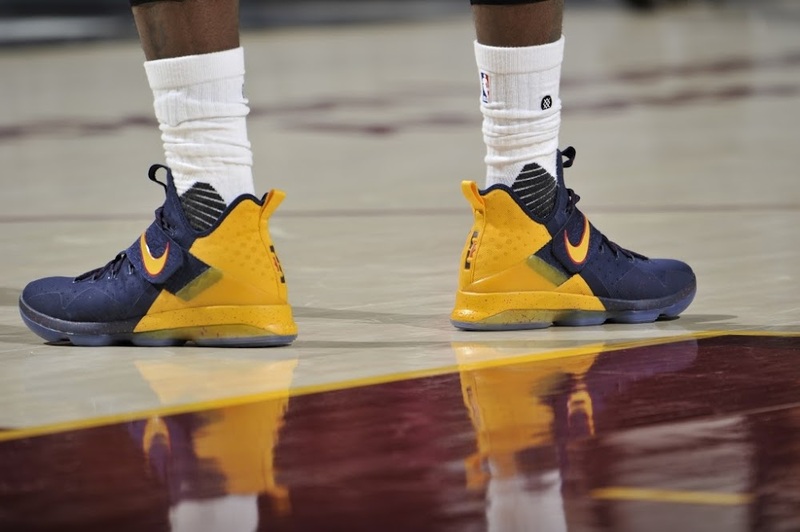 As for the kicks… James debuted a new pair of shoes matching the Cavs alternate theme. 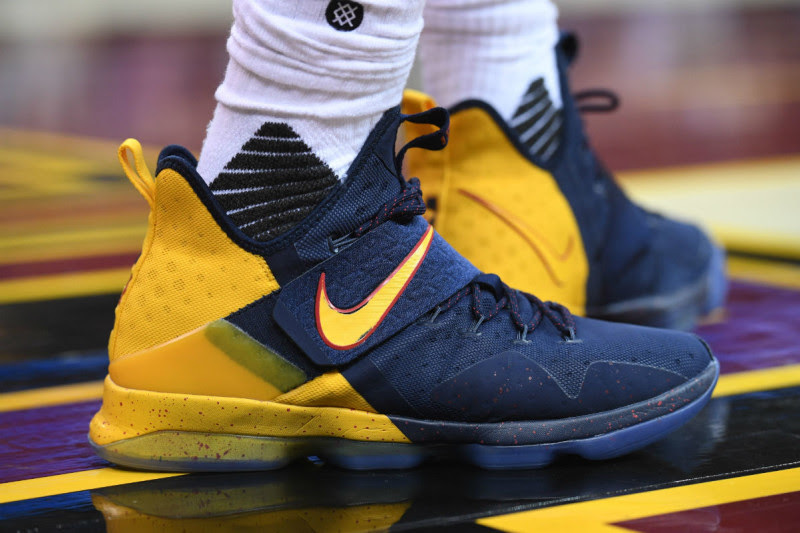 This new Nike LeBron 14 PE takes advantage of its unique color blocking options with a half-navy / half-gold design. 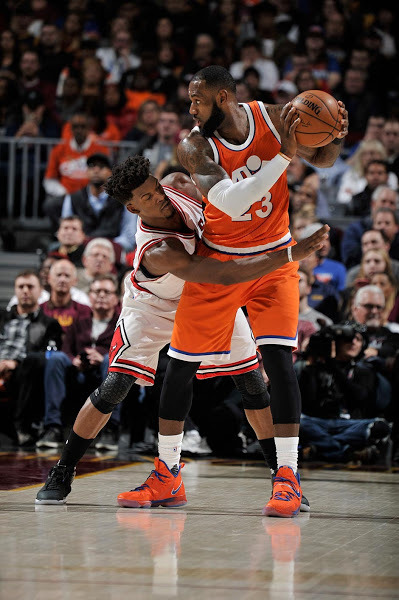 That’s his 8th different colorway since the LeBron XIV debuted on Christmas Day.